Andy Benford is a retired Commander, Royal Navy. Having passed out of the Britannia Royal Naval College, Dartmouth in 1971, Benford embarked on a submarine career that would span twenty-one years and six of the seven seas. He saw service in diesel-electric conventional submarines, a nuclear powered hunter-killer submarine and a nuclear powered Polaris ballistic missile submarine. In 1980 he passed the Submarine Commanding Officers' Qualifying Course, affectionately known as the "Perisher", and qualified as a submarine commanding officer going on to command an Australian conventional submarine, HMAS Oxley, and to be the second-in-command of the Polaris submarine HMS Revenge. He retired from the Royal Navy in 1993 after the end of the Cold War. 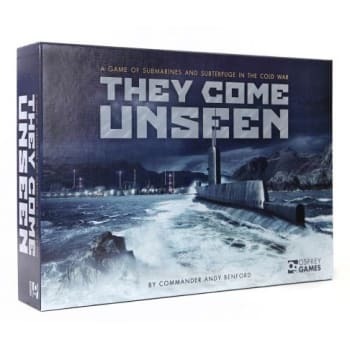 They Come Unseen is his first board game.